It would be fair to say that I’ve suddenly got into libraries in a big way. I’m fairly fascinated by the duality of the monopoly running, union busting, philanthropist library builder Andrew Carnegie. Jury is still out for me on Carnegie, I’m fast becoming someone who believes being super rich should be illegal and that philanthropy whilst okay generally, shouldn’t be possible or necessary. Philanthropy is okay if the money is coming to something worth funding (me and my cause) but less good when its going to something stupid like religion, creationist schools and info wars (you and your cause). My process has been going to this Wikipedia page (which of course might not be 100% correct) cross referencing that when necessary with this un-named bloggers wordpress page (also has a map) and mostly for fun looking on Streetview to see if I can confirm that the building looks about right. * note - I’m looking at the building not the collection as “the library” which of course is semantics. Many “Carnegie libraries” have been “moved” and the building either razed or repurposed or… left to rot. I personally think that’s a bit of a crime. 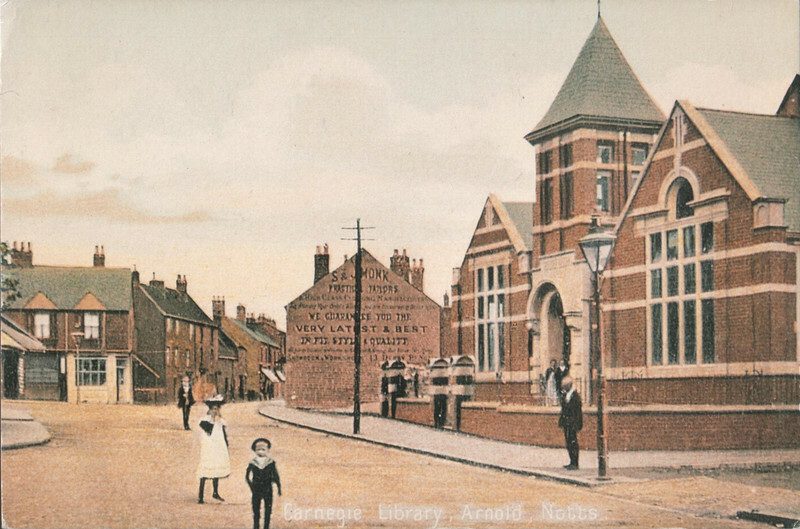 One of the tiny prompts for me looking at these was the missing Carnegie Library in Arnold, Nottingham the site which is now a Wilkos. Wilkos in Arnold, where there used to be a playhouse and the Carnegie library more or less. By far the majority of the libraries I found are still in use. Some have been extended or made into museums once they building was no longer big enough to cope with the job it is doing. Some others though are in a sorry condition. I took screen shots of some but I didn’t note where all of them are. Shipley Library, probably the most sorry one I’ve seen that’s still standing. Lister Drive Library, Tuebrook, Liverpool - due to be renovated as flats or something. Very sad. It reminds me that intentions and ability, when it comes to building preservation at least, don’t exactly go hand in hand. As a hackerspace person, the obvious conclusion you might reach, is that all these lovely old libraries with such a good origin story, should, of course, be hackerspaces. No. hackerspace people for the most part should not be given custodianship of such places. They belong to the people. 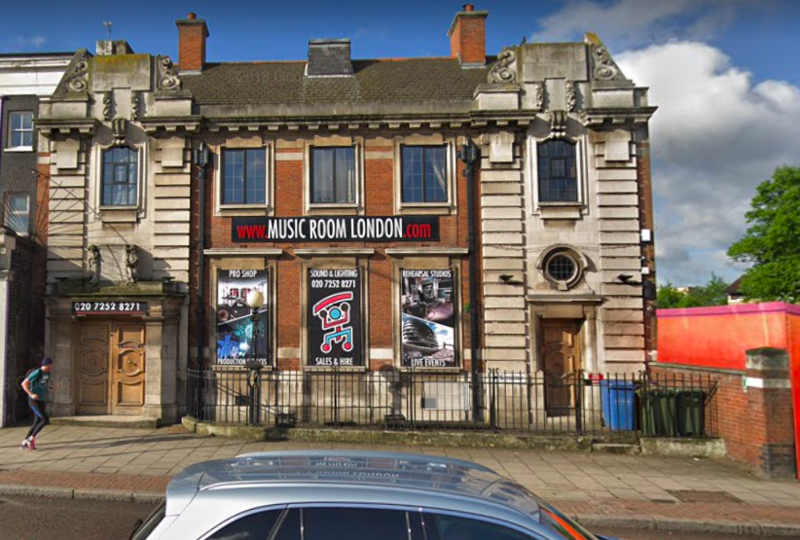 I can’t imagine the sort of thinking that went into deciding that a once lovely historic Carnegie library (no matter what you think of the man) should become a pub. Frankly, I know that in the not too distance past, I thought of libraries as an anachronism, but they are not. For me, the hoarding of many books is far less important than the place they hold as a secular 3rd space. I will blog again once I’ve listed more Carnegie libraries. I might also try to visit some. Today’s thumbnail is was taken in the Archive Room at Manchester Central Library (not a Carnegie Library) I went to see the Bobbins the archive of Frank Sidebottom and Chris Seavy.